Over the past five years, Vietnam has become the Southeast Asian state that has most assertively challenged China’s regional strategic ambitions. To push back against Beijing’s growing regional power, Vietnam also has built closer strategic ties with the United States—moving so close to Washington that Hanoi appeared ready, before 2017, to possibly end its traditional approach of hedging between China and the United States. In the first year-plus of the Donald J. Trump presidency, however, Vietnam has at times appeared less sure of a bet on ties with the United States. 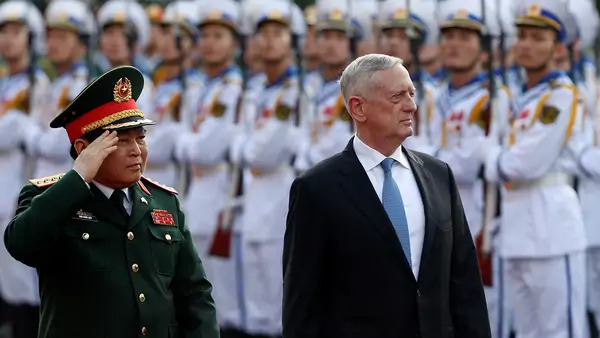 Together, these actions have led some Vietnam watchers to conclude that Hanoi, feeling the pressure of its giant neighbor’s military power and sizable trade relationship with Vietnam, is swinging toward warmer ties with China. More likely however, is that Vietnam will not move much closer to Beijing, even if Hanoi feels it cannot trust Washington’s long-term strategic and trade commitment to America’s Southeast Asian partners. Instead, Vietnam will find new ways, working with regional partners, to defend itself from China and to stake out Vietnam’s own ambitions. For more on how Vietnam’s strategic thinking in the Trump era, see my new World Politics Review article.